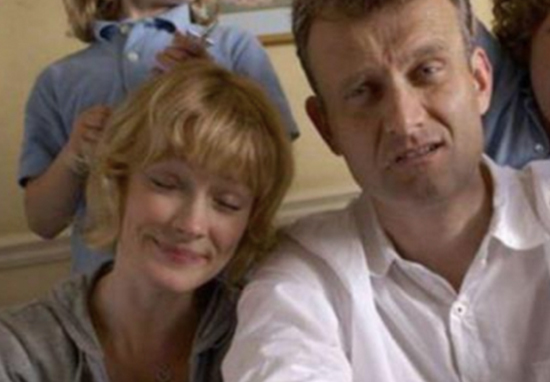 Popular onscreen parents Hugh Dennis and Claire Skinner have apparently begun a relationship in real life. The actors – who played stressed-out spouses Pete and Sue Brockman in Outnumbered – have reportedly been seeing each for around a year, and are said to be very happy. 53-year-old Claire broke up with husband Charles Palmer two and half years ago, while 56-year-old Hugh separated from Kate Abbot-Anderson back in 2015, after 19 years of marriage. It’s always a sad moment when a marriage breaks up. So to have found each other after the ending of both their ­relationships is rather lovely. They were going through marriage breakdowns at very similar times, but it was quite a while after their sep­arations that they got together last year. Between the end of the last series of Outnumbered in 2014 and the Christmas ­special in 2016, they didn’t actually see each other for two years. They’ve always been really friendly but they were living their own lives until they were both single. Although the pair have been spotted heading out together over the last few months, fans assumed they were just good friends and didn’t click to the fact they were actually a couple. Fans are delighted by the news, and wished Pete and Sue – sorry, Hugh and Claire – all the best with their non-fictional relationship. The parents from Outnumbered are together in real life and everything is right in the world. I hope they now formally adopt three precocious kids, record their increasingly-chaotic everyday lives and broadcast the results. That could be hilarious! Scoop. I hope they now formally adopt three precocious kids, record their increasingly-chaotic everyday lives and broadcast the results. That could be hilarious! How lovely :) They made a great couple in Outnumbered, glad they're happy. I just hope they adopt the double barrelled surname Dennis-Skinner! BBC sitcom Outnumbered was for the honest depiction of parenthood, as well as the realistic characterisation of the three child characters, Jake, Ben and Karen. The writers allowed many of the lines to be improvised, and so the language used by the kids often felt very natural. We noticed this great dichotomy between the representations of parenting in sitcoms with the complete chaos of real life. You rarely get the feeling that children in sitcoms are real. They tend to be the same type of character – the smartarse who says adult things – and they are rooted to the spot, staring at the camera, because they’ve been told to stand in one place and say the lines. We decided to attempt to do something that hadn’t been tried before, bounced some ideas around and we got very keen on this idea of involving improvisation very quickly. Both Hugh and Claire have reportedly already opened up about their romance with relatives, friends and colleagues. They are both also parents in real life. Mock The Week favourite Hugh is dad to 21-year-old Freddie and 19-year-old Meg, while Claire is mum to 19-year-old William and 16-year-old Henry. Really have my fingers crossed for these guys!